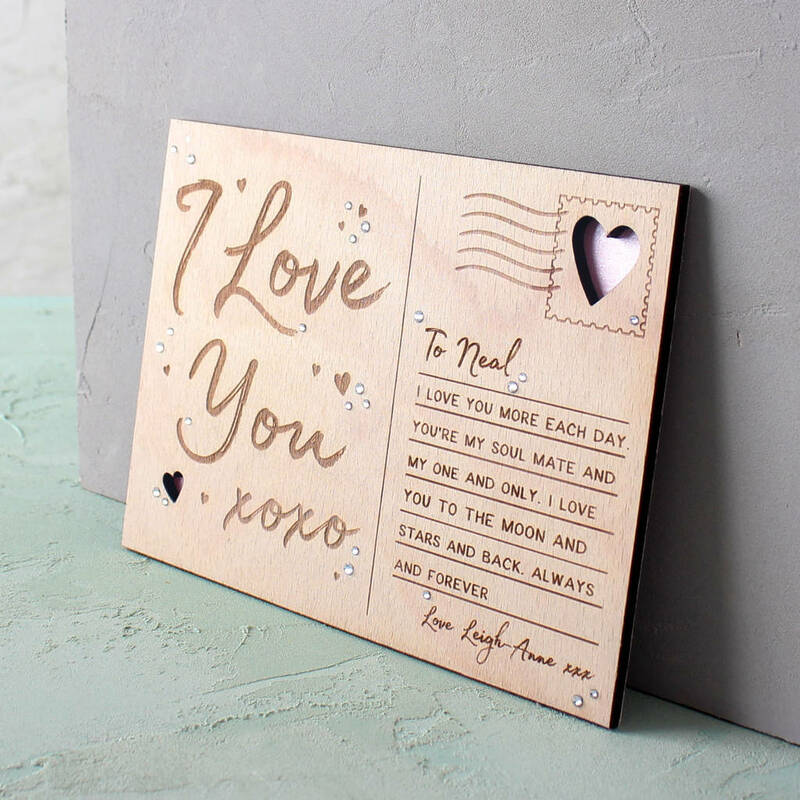 A traditional postcard design engraved onto wood, featuring the words ‘I Love You’ a personal message, and the recipient and sender’s first names. 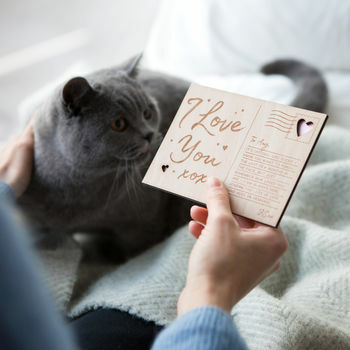 Send your sweetheart a unique love note with this loving postcard. Lovingly engraved with a traditional postcard layout, the design features the recipient and sender's names as well as ‘I Love You’ and personal message. Perfect token to let someone know how special they are or gift for a 5 year, wooden wedding anniversary. 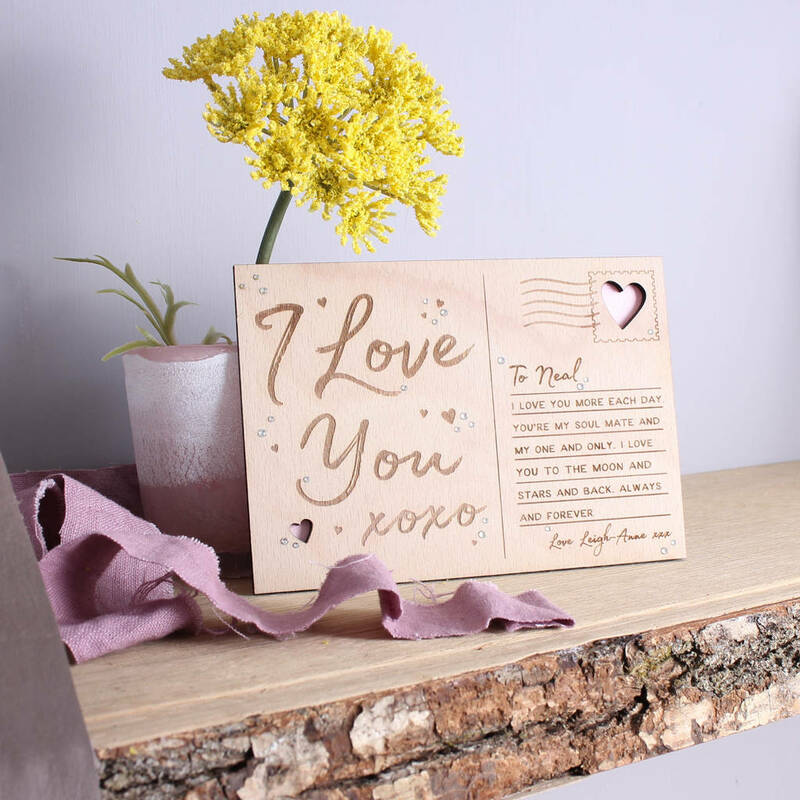 Made from wood, the postcard design features ‘I Love You’ and 'xoxo' in a delicate script font on the left hand side of the card. The recipient’s name, your message is engraved to the right along with the name of who the postcard has been sent by. The card comes with a paper envelope. Both are sent out in a hard-backed protective envelope. If you require the word 'To' please include this in your recipient personalisation as this does not comes as standard. ATTN: Please don't include emoji's or special characters in your message. If you do include these in your personalisation this will NOT be included on the design.